The diversity of products and services in the travel industry creates a complex need for technology solutions that can translate content and deliver it to every B2B and B2C channel available. As the consumer technology continues to advance at a rapid pace, the industry needs to be even more sophisticated. And leading technology provider Trisept Solutions believes technology needs to be “the servant, not the master” in this new economy. Trisept believes travel agents need to harness the technology to actually enhance their emotional value in the sales equation. For 20 years, Trisept Solutions, the technology arm of La Macchia Enterprises, has been using technology to take supplier information, translate it and create an effective shopping and sales environment. Billions of transactions are processed each year on Trisept’s product suite, which powers multi-channel travel merchandising for many global travel brands. “Technology has made the travel experience much more positive throughout the customer journey. It has provided the customer with more content to have confidence in their trip and improve their experience. Consumers also benefit from having information at their fingertips, which means they’re smarter, more researched and more knowledgeable. Trisept's platform drives this efficiency through the travel distribution ecosystem making suppliers, agents and other intermediaries more effective,” says John Ische, president of Trisept Solutions. But it certainly doesn’t stop there. 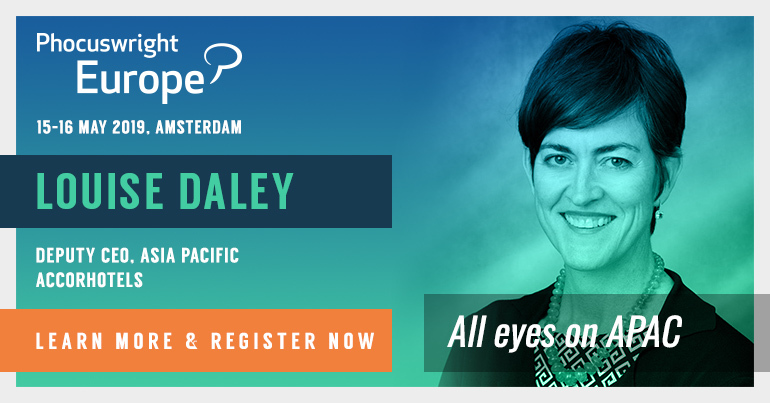 To thrive tomorrow, travel sellers throughout the value chain need to know a whole lot more about their customers. to go well beyond a customer’s travel preferences. to gain a better understanding of how people live their lives and how they interact with the world around them. to feel the great emotional investment people make in their vacation where so much reward is expected in return. Trisept defines this deeper customer empathy as Genuine Intelligence. It means a new set of priorities. It means a shift from travel intelligence to customer intelligence, from the agent’s old ways of communicating to the customer’s preferred way of interacting and from legacy systems to new technologies that streamline the workflow. “Genuine Intelligence is the essential ingredient that guarantees a travel professional will never become obsolete by emerging artificial intelligence platforms. It puts the travel professional in the driver’s seat of the bus instead of being run over by it,” Ische adds. Genuine Intelligence can take you to the land of opportunity: more qualified leads, a higher close rate, higher spend per customer and greater loyalty over time. Genuine Intelligence starts with a change in the conversation. A change from knowing how to get people to a destination to understanding what makes a person tick. Who but the travel professional can gain the insight that comes from knowing a customer’s fondest dream? Who knows how and when a customer wants to engage and what type of content will answer a question or turn a traveler on to a new idea? Who but the travel professional can plan a truly complex vacation for tomorrow’s more sophisticated traveler? To bring Genuine Intelligence to life in their business, sellers have to leverage new technology to help them streamline the research and booking process and work more efficiently, spending less time putting the pieces together and more time serving customers with the perfect answer to their fondest dreams. “The B2B travel marketplace in North America continues to thrive. Leisure travel agents are enjoying a renaissance and they have developed an effective customer engagement process. Consumer demand has driven this in part because of a resurgence of interest in service-based professionals across many industries, including travel. A recommendation from a knowledgeable professional is more valuable than ever,” says Ische. For Trisept, investment is the key to innovation and success. According to Ische, Trisept invests more than $20 million in research and development every year. “That investment commitment is absolutely critical to ensure we can keep pace with consumer technology and arm the sellers with the most powerful solutions,” he says. Technology that supports genuine intelligence is light years ahead of what most travel companies are using today but will be readily available by the year 2020. Trisept entered the world of artificial intelligence in 2015 with the beta launch of Xcelerator, its agency management platform. This essentially gave agents an artificial intelligence component to planning their customers’ trips. The platform features Discover, a cognitive search feature powered by WayBlazer. From a B2C standpoint, users are able to leverage Xcelerator as a customer profile and CRM tool. The technology features a recommendation engine that allows users to sell based on both customer purchase history and preferences. The reporting tool serves as an all-in-one dashboard that gives users hyper-detailed reporting with just one click. In a world where data is king, users are able to leverage insights and data using Xcelerator in a way that they have not been able to in the past. The consumer will continue to explore the world, and their methods for research and planning will continue to evolve. But as recent years have shown, the travel seller community will maintain its position in the planning and booking process and Trisept will continue to innovate and find ways to keep that sales channel ahead of the curve. 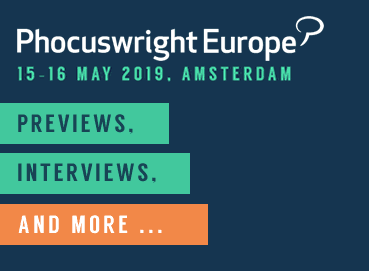 * Check this interview with Ische at The Phocuswright Conference in 2018.